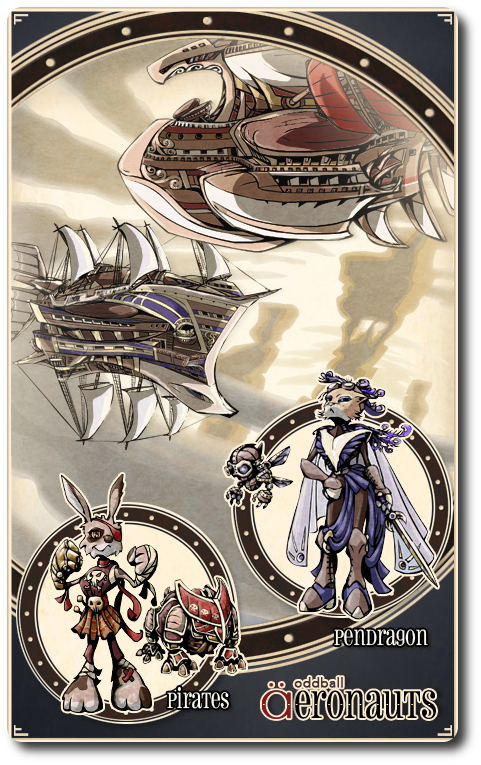 Take to the skies and battle in the clouds on giant airships piloted by bunnies and raccoon! The skies above the kingdom remains a realm without limits. It’s the last place where freedom can be obtained by anyone regardless of race, rank, or title. It’s also a lawless place where the strong feed on the week. It’s here you find yourself, in the clouds, soaring on a giant airship. Your crew await your orders as another airship comes into view. Do you ready the guns, prepare to board, or maneuver to ram? What are your orders, captain? Oddball Aeronauts, designed by Nigel Pyne and published by Maverick Muse, is comprised of 33 “Dragon’s Revenge” Crew cards, 33 “Hunter-Seeker” Crew cards, 13 Event cards, 2 Mercenary cards, and 1 Lead token. The cards as durable as your standard playing card and the Lead token is a thick wooden disc. The illustrations by Lloyd Ash Pyne are excellent and really grab the imagination. Note: Players can customize their deck of cards prior to playing the game. See “Customizing Your Crew” for more information. This section describes how to play the game with the pre-constructed deck of cards. To set up the game, first separate the deck of cards into four groups: Pendragon faction, Pirate faction, Mercenary faction, and Events. Second, one players takes the Pendragon faction (who crew the Hunter-Seeker) and the other player takes the Pirates faction (who crew the Dragons’ Revenge). If playing the game for the first time, remove any card that does not contain the Core Card Tag. Removed cards are placed back in the game box. Third, randomly deal 1 Mercenary faction card to each player. The Mercenary is placed in the player’s deck. Fourth, shuffle the Event cards and deal 2 to each player, face-down. Players place the Event cards in their deck. All remaining Event cards are placed back in the game box. Fifth, each player takes their opponent’s deck and shuffles it, face-down. The decks are then returned to their owner. Sixth, players hold their decks in their hand so the first card they see is face-up. Players should keep their deck hidden from their opponent at all times if possible. Seventh, each player takes the bottom 3 cards and turns them face-down. Don’t be confused by this. When the player is holding their deck, the entire deck is face-up except for the last 3 cards, which are now face-down closest to the player’s palm. All the cards are still held in the player’s hand. Eight, determine who will be the first player and give them the Lead token. The player who has the Lead token is referred to as the “Lead player” for the duration of the game. That’s it for game set up. Launch your airships! At the core of a player’s deck is their crew. These are the individuals who you are sending off to board your opponent’s ship, fire guns, and maneuver through the clouds. 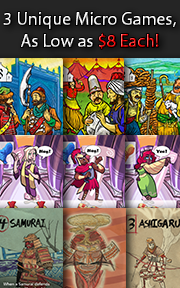 Each of these cards is identical in their layout for the most part, with only a few aspects being slightly different from the other cards. 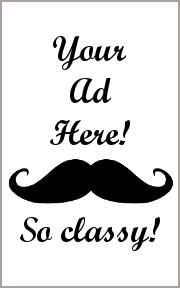 Specifically, magic, tricks, type, level, and class. If playing with the default starting decks, a player will only need to be concerned with the stats and values found on the card’s left-most side. These values are used to determine who wins a round of play and special abilities. Combat is done by comparing skill number values and bonuses. Higher value always wins. Additional actions are taken based on the skill used by your crew to crush your enemies. As the game progresses, crew you use will be exhausted (discarded) and out for the duration of the game unless brought back into play by another card. Combat in Oddball Aeronauts is not just about crunching numbers. Some cards have tricks that can be triggered if the card is used during the round. Note that I say “can be”. Players can optionally trigger a trick if they want, but are never required to. If there is more than one possible trick, the player will have to select which one they want to play, but by default, the only trick they can trigger is the one listed on their top-most card. There is also magic at work in this game’s thematic world. Magic, like tricks, is optional and can impact the round. However, any card the player wants to play that has magic can use it. In other words, it need not be the top-most card. Which is great, but magic has its weaknesses, too. If your opponent has a “shadow” version of their Faction symbol as their top card, the magic trick fails. Magic and tricks let the player do some very interesting things. For example, stringing cards together (referred to as “Rigging”), capturing an opponent’s crew and forcing them to work for you, protect cards from being exhausted, and of course, adding bonuses to skills. Oddball Aeronauts is played in rounds. Each round is broken down into sequential steps which are summarized here. If both players have an Event card in their top 3 face-up cards in their deck, each player discards their top-most Event card. This is repeated until only 1 player has an Event card in their top 3 face-up cards or neither player does. 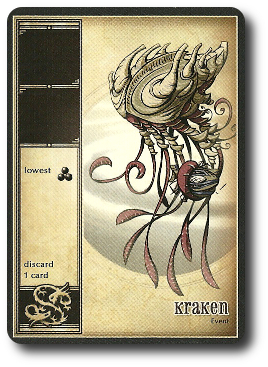 Note: “Discarding” a card means to place it on the bottom of the deck, face-down. Discarded cards are considered exhausted, but not necessarily out of play. They can be brought back into play though other cards. If only 1 player has an Event card after reducing, reveal it and resolve the Event. Events could ask for skills to be compared. If skills are compared, only the top-most cards of each players’ decks are used. Events that have an effect that cannot be applied are held onto until they can be applied and triggered. Regardless of when the Event is resolved, it’s discarded. If another Event card is now in the player’s top 3 face-up cards, it’s also discarded instead of being resolved. Each player now looks at their top 3 cards and determines which skill they want to use this round for the attack. There are 3 different types of skills. Or, if you prefer, movement, ranged combat, and melee combat. Some but not all skills listed on the cards will also have a bonus. Players can look at any other number of cards in their deck that are face-up if they like, but they can only use the top 3 cards at this time. Once each player has selected a skill they want to use, the Lead player announces which skill they will be using, followed by the second player. Players now determine how many cards they will be playing that use the skill they selected. Players can play 0, 1, 2, or 3 cards. If the player selected to play 1 card, they must play the very top-most card (the first face-up card). It’s up to the player to select which of the second or third top-most cards they want to play if they selected to play 2 cards. If they selected 3 cards, all the top-most 3 cards must be played. When both players are ready, and starting with the Lead player, each player reveals how many cards will be played on the count of 3 by using their fingers. If a trick is going to be used that limits or forces a specific number of cards to be played, it should be announced prior to declaring how many cards will be played. If a player fails to show fingers on the count of 3, they MUST play their top-most card. A player can also select “0” by simply making a fist. Both players now calculate their total skill by adding the skill level of their very top-most card to any skill bonuses (the values with a “+”) provided by their second and third top-most cards (if they were used). Players compare the skill totals for the skills they selected (not all of them) to use this round by announcing their skill total starting with the Lead player. The player with the highest skill total wins the round. For example, the Lead player announced Guns as her skill of choice and has a total of “6”. Her opponent selected “Sailing” and had a total of “5”. The Lead player has won the round. If both players have the same skill total, regardless of the skills selected, the round would be a draw. Note: All cards selected and revealed are considered “played cards”. If the player selected to play zero cards, they will only discard cards if they are forced to. If the round ended in a draw, both players discards their played cards by placing them on the bottom of their deck, face-down. If one player won the round, both players still discard their played cards, but the player who won the round gets to take a bonus win action. To recover a card, the player looks through their deck by fanning the cards until they come to the first face-down card. The player takes this card and flips it so it’s now face-up. The player then returns the fanned cards to the deck without reshuffling and keeping all the cards in their current position. If an Event card is revealed, it’s discarded and a new card is recovered. This completes the round. The player who won the round now takes the Lead token. If the round was a draw, the Lead token remains with the current player. If a player discards their last face-up card or is unable to discard face-up cards during step 5, the game ends. The player who still has face-up cards wins. If both players have discarded all their cards or the only face-up cards left are Event cards, the game is a draw. All decks start with the full accompaniment of Core Card Tags. This ensures that both players have equal standing when it comes to skills, tricks, and bonuses. The only random cards given to each player are the Mercenary cards (which are similar, but not complete alike) and the Event cards. But before players begin, they can customize their crew by swapping out cards with the Core Card Tags for other cards. A number of cards are provided for each player to mix and match, but all the cards available to each player are equal in strength. The customization process is fairly simple. In this way, a player can customize their crew, but at the cost of possibly reducing the total number of cards and abilities. To learn more about Oddball Aeronauts, visit the game’s web page. Based on previous games I have played with our groups, I think Oddball Aeronauts will be well received by the Child and Parent Geeks the best. The Parent Geeks won’t care for it at a peer level, however, based on the amount of blind luck and guessing you have to do. Which, as it turns out, is exactly why the Gamer Geeks won’t care for the game whatsoever. Although, I do believe all 3 groups will like the artwork and the portability of the game. Teaching Oddball Aeronauts is best done by playing a few hands out in the open. Deal 3 cards to each player and show them how the skills are added together along with additional bonuses with magic and tricks. After that, there really isn’t much more to talk about other than how combat is played out and resolved. I wouldn’t discuss the deck-building aspect with new players until they have a good grasp of the game. Note that this game does require math and reading, which is essential to decision making. Resolving the cards and helping with the math is a good idea, but only AFTER the cards have been played. As such, younger Child Geeks will have to team up or sit this one out. After teaching Oddball Aeronauts to my two oldest little geeks, I asked them their thoughts on the game so far. Yes, there is more to learn about the world the game is set in. The game publishers have created a field guide that goes into a bit more detail. As for the difficulty of holding the deck in one hand for younger players, we anticipated this and are ready to play the game on the gaming table. Let’s take to the skies and see if Oddball Aeronauts soars or plummets to the ground. The Child Geeks very much enjoyed the game, but couldn’t play it as the designer intended. 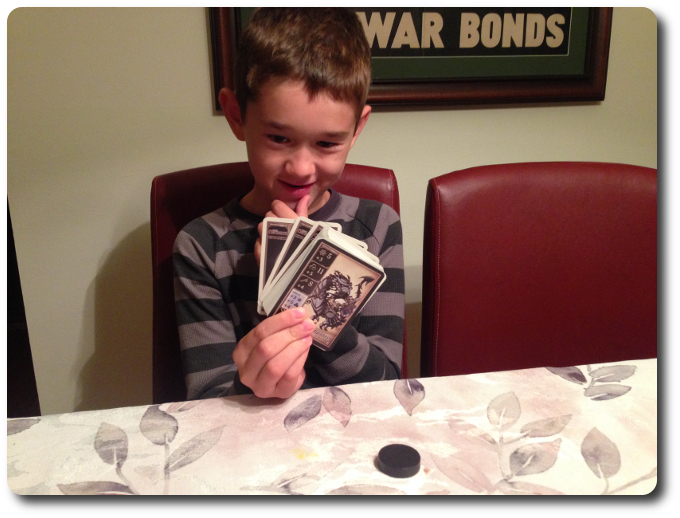 Only the oldest of our Child Geeks had hands big enough to easily hold the cards. Not an issue. The game can be played on a table surface without upsetting the game play. In fact, it’s oftentimes easier. To make it fair, both players have to place their deck on the table, which isn’t that big of a deal. According to one Child Geek, “I really like this game. It’s like a much better version of Top Trumps!” Other Child Geeks said it was like War, but with much more thinking. The older Child Geeks disagreed. One in particular was rather vocal about it saying, “This is nothing like Top Trumps or War. You have to think about what cards you want to play and what cards you are willing to lose.” Despite their disagreement, all the Child Geeks agreed that Oddball Aeronauts deserved their approval. The Parent Geeks thought the game was great to play with their Child Geeks and not too bad a game to play with their peers. The only issue was that they would prefer to play other 2-player games with their peers if the time presented itself. According to one Parent Geek, “This wouldn’t be my first choice to play with another player, but I would be happy to play it if I was stuck in a line or flying on a plane.” Another Parent Geek said, “This game is more than what it appears. I thought I was just counting numbers, but you have to bluff and reserve your card plays. I like it!” All the Parent Geeks voted to approve Oddball Aeronauts. The Gamer Geeks were mixed. There were a few of them who thought that Oddball Aeronauts was nothing more than blind luck and guessing, and others who thought that the game was full of subtle strategy and tactics. According to one Gamer Geek, “What I like about this game is how portable it is and how much fun it is to bluff your opponent into wasting all their cards.” Another Gamer Geek said, “I give it an A+ for being inventive, but a D- for being a game worth my time. All I’m doing is guessing, guessing, guessing, and more guessing. Guess what? I don’t like the game.” The Gamer Geeks all agreed that the game was inventive, superbly illustrated, and well crafted. After that, some Gamer Geeks found Oddball Aeronauts to be a great game to play when they were standing in line or traveling, and others found the game to be frustrating and forgettable. As for me, I really enjoyed the game, but I think that has to do with how I approached it. I knew the game was going to be light and random based off of the rules. What I found is what I expected, but I also found a bit more. I won’t go so far as to say that Oddball Aeronauts is a “deep game”, but you do have to put some thought into it. Yes, you have to guess what your opponent is doing based on zero information, but that doesn’t mean you can’t make smart choices. You have to keep track of how many cards you want to play and how hard you want to hit. Or, if you like, bluff the hell out of your opponent to make them spend their cards which brings them ever closer to exhausting their deck. But be careful. The round winner gets a few benefits that could end up meaning victory or defeat. It’s a bit like playing chicken, but with cards that represent airships. A very subtle and light game full of luck, not much strategy, and a lot of bluffing. Oddball Aeronauts is a fun adventure and an easy play that can be enjoyed just about anywhere and anytime with the exception of swimming and skydiving. That’s pretty cool and makes the game unique right from the start. For those looking for a deep game full of meaningful and thought-provoking decision making, you are going to be disappointed. Oddball Aeronauts just wants to be fun and fast wherever and whenever you want to play. Tagged Card Games, Child Geek Approved, Fantasy Games, Parent Geek Approved, Pirate Games. Bookmark the permalink. Thanks so much for spending time with oddball Aeronauts and producing such a thorough review. It’s a fun game that now lives in my man purse, ready to be played at the drop of a hat or whenever my little geeks are forced to stand stationary for an unspecified amount of time.